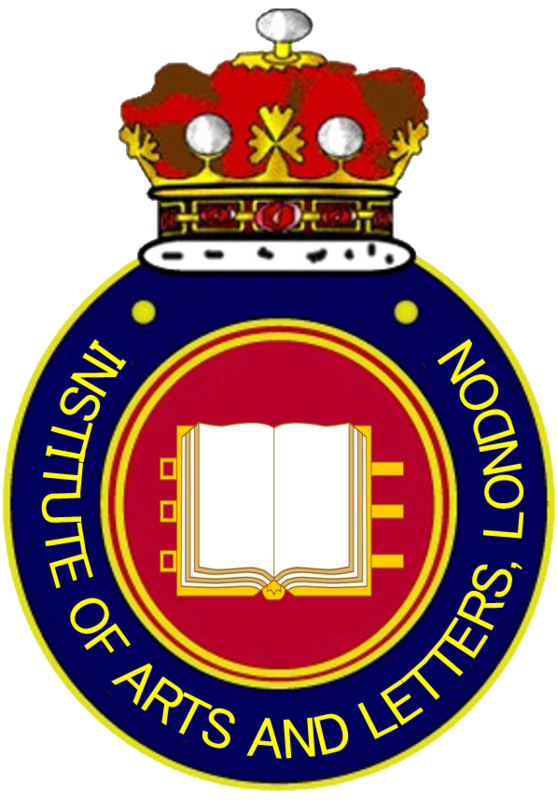 The Institute of Arts and Letters, London, is a small and exclusive learned society, based in England’s capital but with an international membership, devoted to the study of the arts and letters in their broadest sense, and to the promotion of humanitarian and philanthropic endeavour. Membership is limited to fifty persons of high achievement in their fields, who are designated Fellows of the Institute, and entitled to use the postnominal letters F.I.A.L.(Lond.) Fellowship is granted only after nomination by an existing Fellow, and after the candidate’s suitability has been ascertained by thorough examination of his or her record. Current and past Fellows have come from a wide variety of cultural and professional backgrounds, and include royalty, aristocrats, world-famous poets, renowned musicians, senior clergy, scholars, and philanthropists. The Institute is partnered with the Venerabile Confraternita di Maria Ss.ma del Buonconsiglio della Buona Morte e Misericordia, formerly dei Portatori dei Morti-Disciplinati per l’Eternità A.D. 998, formerly dei Battuti A.D. 1230, di San Paolo alle Carceri in S. Maria del Popolo, and OR.VEN. the Ordine Venerabile della Venerabile Confraternita detta del Buonconsiglio Famiglia Templare Giovannita. The Confraternita is probably the oldest Christian brotherhood in continuous existence, based at Città di Castello, Italy. The International Institute of Arts and Letters was founded in 1950 and rapidly established itself as one of the leading learned societies of its day. It numbered among its membership many noted writers, artists and musicians, including such well-known figures as Aldous Huxley and Thornton Wilder. Its President from 1969-72 was the noted writer William Maxwell. Having been based in Geneva in 1960, and also at various times in Lindau, Zurich and Paris, the Institute fell into obscurity after Maxwell’s presidency. In 2002, marking the thirtieth anniversary of the end of Maxwell’s time in office, an international committee of distinguished persons was formed with the purpose of continuing the work of the IIAL as a commemorative project, and this body brought about the formation of the new Institute of Arts and Letters, London. Following some years of limited activity, the Institute was revived in 2014 under a new charter and re-structured by Prince-Abbot Edmond III de San Luigi, who had previously served as its Secretary-General and is now its President. The revival was motivated by the wish as expressed by a number of its Fellows that the Institute should be allowed to fulfil its potential as a learned society, a diverse fellowship for scholars, intellectuals and creative people in a variety of fields, and ultimately as a small oasis of beauty, truth, and humanity in a turbulent world. A further inspiration for the work of the Institute has been provided by the former St Andrew’s Ecumenical Intercollegiate Research Fellowship, which was based at Tottenham, London, under Dr Charles W. Boltwood during the 1950s and 1960s. 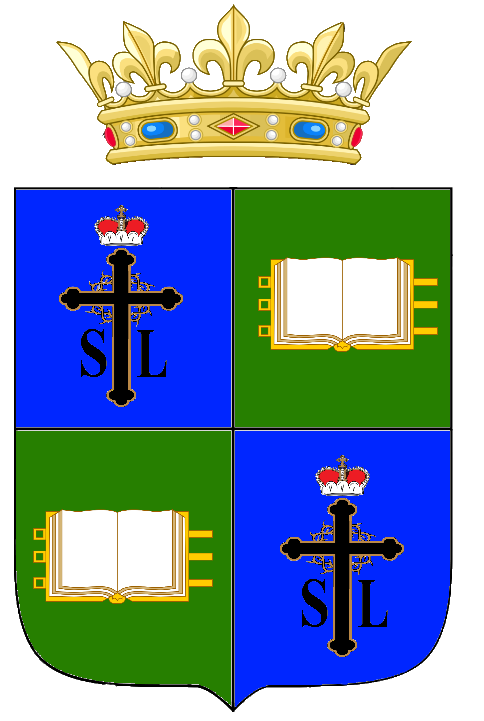 Like the present Institute, St Andrew’s had special interests in those branches of knowledge that are often neglected by the mainstream. The Institute enjoys a partnership with the Western Orthodox University, which is headed by the Institute’s President. Membership is limited to fifty Fellows, who are elected for life, following successful nomination by an existing Fellow. No fee or subscription is required of Fellows, but they are asked to defray the costs of meetings or other activities in which they wish to take part. Any Fellow wishing to nominate another for Fellowship should do so via the Secretary-General, who will place the matter before the President for consideration. Fellows are reminded that, in order to discourage unsuitable nominations for the small number of places available, any Fellow whose nominee is considered by the President to be unsuitable will usually be asked to resign his own Fellowship. It should be borne in mind that successful applicants will always be people of high achievement, and usually over the age of thirty years. For general guidance as to the standard expected, the following information may be useful: a large number of Fellows hold doctoral degrees; some have themselves founded institutions furthering the arts and letters or philanthropy; most have produced original work in creative fields; many have held teaching positions in institutions of higher education; all are leading professionals who have served their communities with uncommon distinction for many years. Fellows may use the postnominal letters F.I.A.L.(Lond. ), and wear the Institute’s distinctive robes of claret cloth and dove grey (turquoise-blue shot rose-pink) silk. The official robemakers to the Institute are Messrs. Ede and Ravenscroft. Fellows receive the Institute’s electronic publications, and are invited to attend its meetings in London. In recent years, a Convocation has been held in London each year. This has involved a formal ceremony during which new Fellows are welcomed, a talk and/or musical performance, and tea. The Convocation for 2015 took place on Saturday 18 April at 2pm, featuring an organ recital by Dr Maurice Merrell F.I.A.L. (Lond) and a talk by the President, and a report can be read here. The first Dinner of the Institute took place at a London private members’ club on 23 October 2015. Convocation 2016 was on 30 April at 2pm, and a Dinner took place on 11 November at 7pm. At Convocation 2017, which took place on 3 June, there was a talk by Roddy Mullin (late Colonel REME) and an unaccompanied violin recital by Mark Hartt-Palmer. Convocation 2018 included a talk on Mozart and a display of organ improvisation by Professor Maurice Merrell. The Institute of Arts and Letters (London) has entered into a Treaty of Full Collaboration, Partnership, Accreditation and Recognition with the Venerabile Confraternita (o Compagnia) detta del Buonconsiglio di Città di Castello and the OR.VEN. – Ordine Venerabile della Venerabile Confraternita di Maria Ss.ma del Buonconsiglio della Buona Morte e Misericordia, Città di Castello, Italy (Order of the Venerable Confraternity (or Company), known as of (Our Lady of) Good Counsel of Good Death and Mercy of Città di Castello). This chivalric and Christian brotherhood can trace its origins to the last years of the first millennium (990-999 A.D.) and in its present form dates to 1230, making it probably the oldest religious brotherhood in continuous existence today. The Order is based at Città di Castello (Province of Perugia) where it has its own Magistral Church, and is governed by a Grand Prior (Grand Master). The Prince-Abbot of San Luigi has the honour to be a Perpetuum (Grand Cross) of the Order, its highest rank. The Institute has entered into a reciprocal Treaty of Full Partnership, Recognition, Accreditation and Collaboration with the Saint Peter and Saint Paul Lutheran Institute. The Institute originated with The Biblical College of Religious Teaching of St Peter and St Paul, which initially derived from the internal resolution of the Statutes of the St Paul Commitee, legally registered and published in the Journal Officiel de la Republique Française (July 1996), while the University and College of the church, Art.4 of the Statutes, concerning Higher Education, was registered in January 2000, in the city of Marseille, in accordance with the legal capacity to grant degrees and give credit transfer/equivalence (Art.L731b of the “Code de l’Education”, 09/22/2002, L.335. The Institute is also in full reciprocal partnership with the International Corps for Civil and Health Emergencies, Wyoming, USA, and with the Norman Academy. The Institute’s Journal has appeared occasionally and provides an opportunity for recent events to be recorded and the scholarly or creative work of Fellows to be published. This is a collaborative project with European-American University Press, and is circulated free of charge in electronic format to Fellows, as well as being available to purchase in a handsome, cloth-bound hard copy. Fellows are warmly encouraged to submit material of professional quality for publication; this may be a scholarly exploration of any aspect of the Arts and Letters, or it might be a poem or short story. The Council is particularly keen to publish the work of independent scholars and writers exploring topics not usually approached in mainstream academia, and is happy to offer informal guidance on matters of content and style. As a general rule, adherence to scholarly conventions is encouraged, but the style of writing should not be so dry as to discourage the general reader. Our hope is that Fellows will feel encouraged to read outside their personal specialisms and thereby exemplify the breadth of interest and natural curiosity that are, in the view of the Institute, hallmarks of a civilized outlook. In addition to the Journal, occasional notices are issued via electronic mail. © Copyright 2011 onwards, The Trustees of the San Luigi Charitable Trust. All rights reserved.